Barry Fraser is John Curtin Distinguished Professor, Director of the Science and Mathematics Education Centre, and Dean of Graduate Studies in the Faculty of Science and Engineering at Curtin University. He is responsible for the world's largest graduate program in science and mathematics education and a Fellow of six learned academies/associations. His research interests include learning environments, educational evaluation and science education. He is the founding Editor of Springer's Learning Environments Research: An International Journal. Kenneth Tobin is Presidential Professor of Urban Education at the Graduate Center of the City University of New York. Prior to becoming a university science educator in Australia in 1974, he taught high school physics, chemistry, biology general science and mathematics for 10 years. He began a program of research in 1973 that continues to the present day--teaching and learning of science and learning to teach science. His current research focuses on the teaching and learning of science in urban schools in New York City. 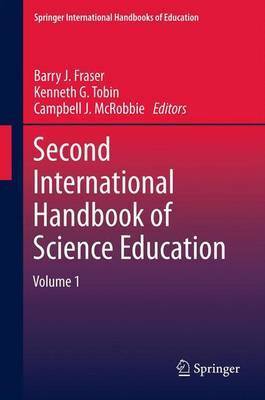 He is the founding Co-editor of Springer's Cultural Studies of Science Education. Campbell McRobbie is Emeritus Professor and former Director of the Centre for Mathematics and Science Education at Queensland University of Technology. He has an extensive research background in education, focusing on learning environments in science, students' conceptions of science, and design and technology education. 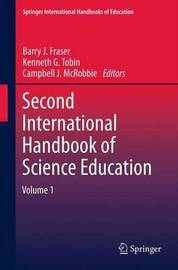 He was editor of Springer's Research in Science Education in its formative years as an international journal. XXXII, 1564 p. 66 illus. In 2 volumes, not available separately.